Flying Iron Ranch is a farm located in Montrose, Colorado owned by Christine Brown & Jim Head. Click on the tab above to learn more about his once in a lifetime experience. 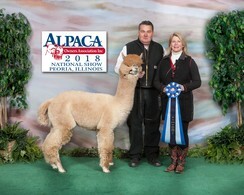 Welcome to Flying Iron Ranch Alpacas webpage. We are Christine Brown and Jim Head a big city girl married to an Oklahoma country boy. In an effort to spend less time in the metro Dallas area and more time in the wide open spaces we purchased some land in Colorado. In 2014 we realized that we needed something to do at the ranch. Christine declared I want alpacas. She had researched them online and was immediately attracted to their adorable demeanor. 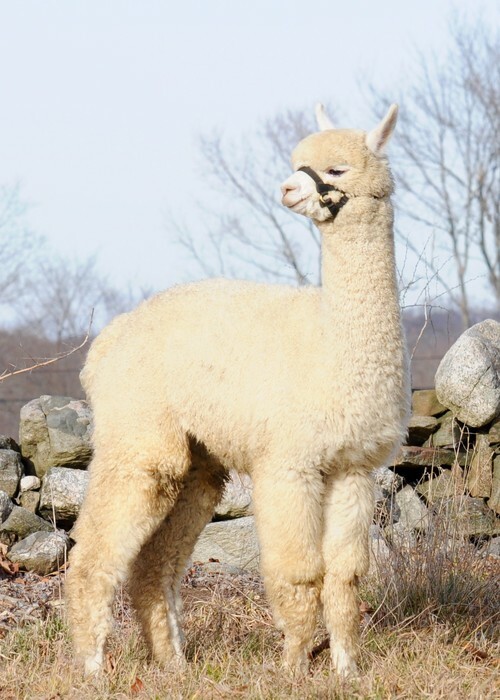 As we studied more about them we became very intrigued about alpacas and the concept of having an alpaca ranch. We went to a show, met some great people very willing to help us get started. We visited a few farms, did tons of research and educated ourselves in every aspect of the alpaca industry. 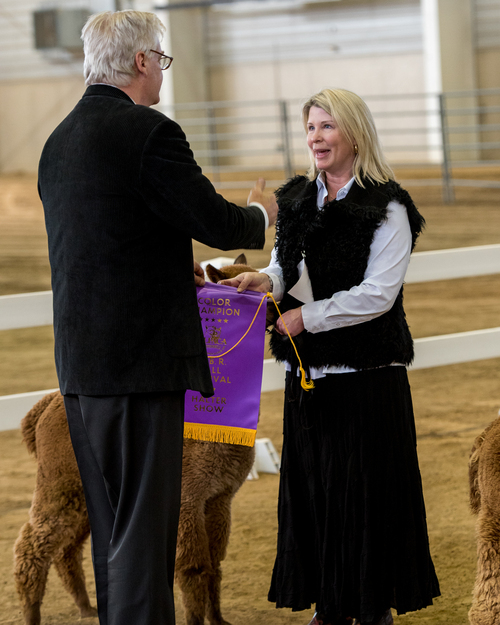 Using the information we learned and guidance of our first mentors, Gail and Al Van Staveren of Escondido Alpacas we began researching foundation females for Flying Iron Ranch. We knew that our focus would be Huacayas and that we wanted premium fleece. 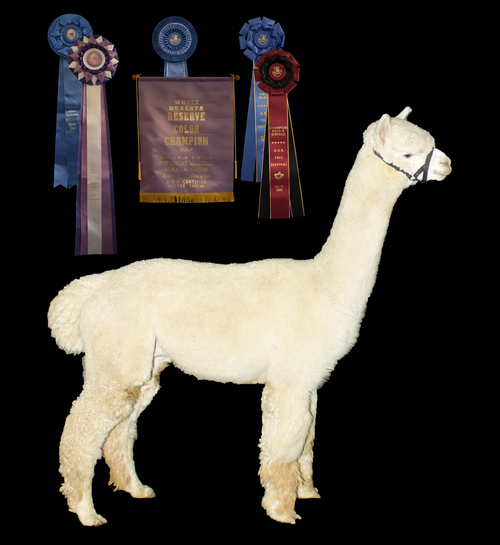 We found what we think are 4 of the finest female alpacas around. Sandra and Norm Johnson of Chimera Ranch have been a great resource and we continue to learn from them. 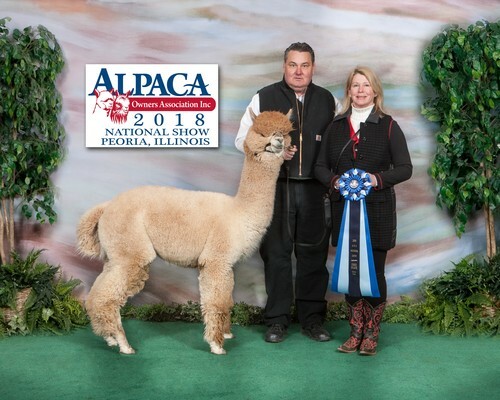 We have learned so much over the years, we continue to add female and male alpacas and build relationships that allow us to achieve our goal of "Building a Herd of Champion Alpacas". May 2018 brings Suri's to Flying Iron Ranch in a deal made under the cover of darkness with Randy and Barbara at Wing and a Prayer Alpacas. Flying Iron Ranch now has Suri alpacas and Randy and Barbara have an amazing Harley Davidson.